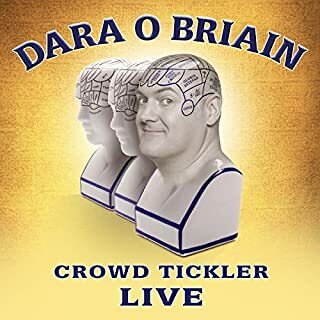 Dara O'Briain is one of the most recognisable faces on British TV, as host of Mock the Week, The Apprentice: You’re Fired and Star Gazing Live. Not forgetting his most recent shows Dara O'Briain: School of Hard Sums for Dave and Dara O'Briain’s Science Club for BBC2. Catch one of the most charismatic, intelligent, talking and downright funny live performers working today. Get this year’s comedy fix from the mighty Dara O Briain’s highly anticipated new tour, Dara O Briain: Craic Dealer. The host of Mock the Week (BBC ONE), The Apprentice You’re Fired! (BBC TWO) and star of Three Men in a Boat (BBC TWO) returns this year with his funniest Live show to date, proving why Dara is regarded as one of the comedy greats by audiences and fellow comedians alike. 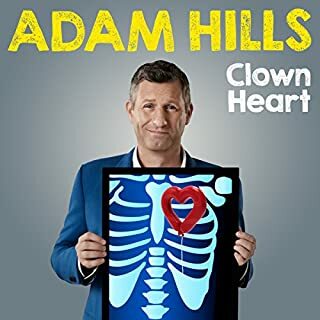 Take a trip with Adam Hills and his sold-out crowd at London's Hammersmith Apollo to the Clown Heart of comedy. In this live recording, Adam and his sign interpreter, Catherine, join forces with a willing audience to create some onstage stars and hit a few comedic high notes. Along the way he embraces love, life and death with his inimitable positivity, laughing in the face of tragedy and 'kicking cancer in the d**k'. 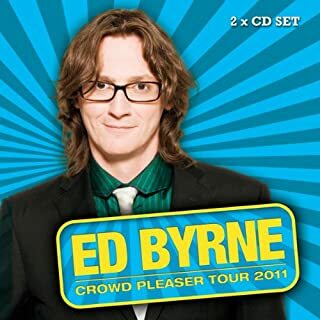 Top Irish comedian Ed Byrne performs live in concert. On this superb recording he talks about his upbringing his parents and his recent wedding. Recorded in front of an appreciative crowd in Glasgow. Please note: This audiobook contains explicit language. 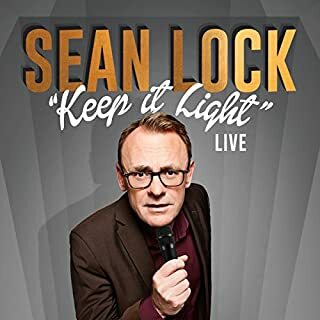 Sean's stand-up is a blend of a finely tuned hyperactive imagination, surreal imagery and insightful observations on the human condition...and Keep It Light is about Sean keeping the tone light and funny, as he talks about the price of cinema food, accusations of him having a midlife crisis, his behaviour on the Internet and jewellery heists. A live recording by the increasingly popular comedian. 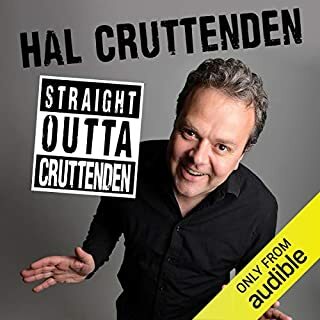 Hal has appeared in many TV shows such as Live at the Apollo, Have I Got News for You and Mock the Week. 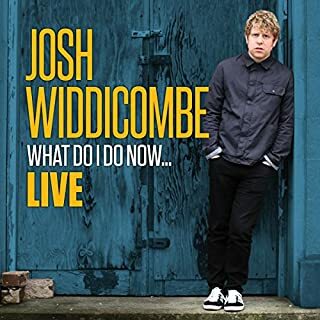 What does Josh Widdicombe do now? 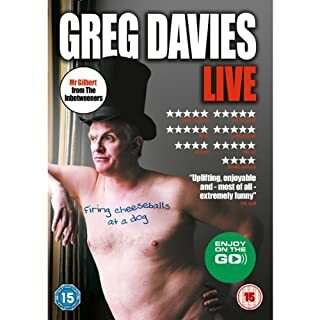 Well, bring out his second live DVD, that's what. Josh's frustrations are still bubbling over, from his overflowing shower to his contactless card via a night train back from Edinburgh. 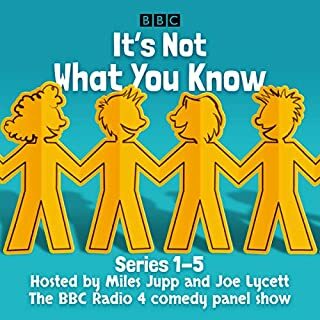 Josh is at his irritated best in this brand-new show recorded live in front of a packed house at the legendary Hammersmith Apollo. 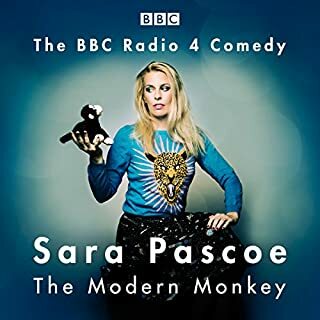 Sara Pascoe explores our modern social world though theories of evolutionary psychology and more. In a brand-new stand-up show recorded in front of live audiences in museums, Sara asks how our past influences our modern lives and how come we can still get emotionally hijacked by our primitive emotions. Welsh comedian Rhod Gilbert takes a trip to New York with his on off girlfriend for a make or break holiday. 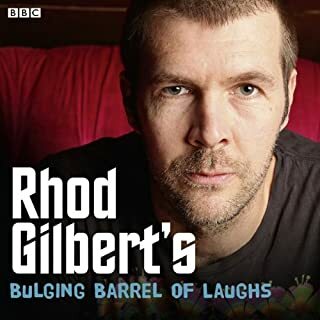 Told in hilarious style, and after a course in anger management Rhod claims to be a more mellow fellow! Following the huge success of his sell-out 100-date UK stand-up tour, Dara O'Briain Live at the Theatre Royal marks the explosive finale to the run. 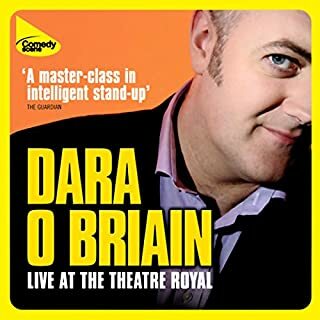 Recorded in front of 2500 fans at the Theatre Royal Drury Lane, this show has Dara at the very top of his game, musing on subjects as diverse as driving tests, baguettes, and the Milky Bar Kid. One of the hottest comics in the UK, Ed Byrne has become an assured intelligent and very funny entertainer. 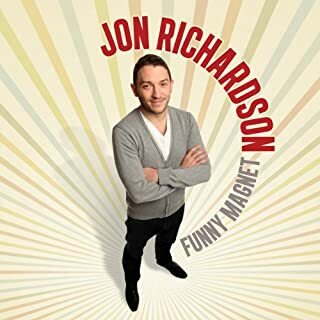 The Irish comic performs live on this hilarious recording. 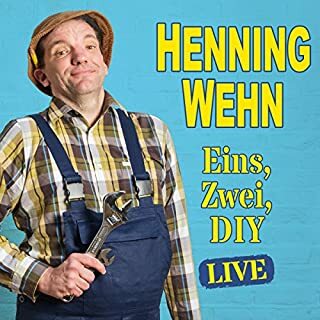 Henning Wehn: Eins, Zwei, D.I.Y. Star of QI, Live at the Apollo and Have I Got News for You, German comedy ambassador Henning Wehn gives a hilarious outsider’s view on modern British life compared to his home country. Be it gently mocking this nation's obsession with the housing market or our tendency to laugh off personal failure, Henning is one of the funniest and most popular comedians around. And yes, there might be just the odd mention of the World Cup. 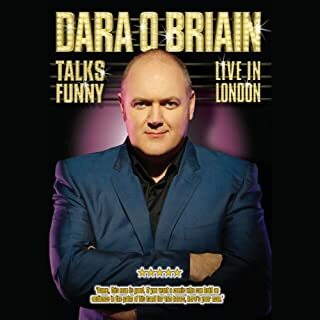 Dara O Briain Talks Funny: Live in London is the culmination of Dara's massive 2008 sell out tour of the UK and Ireland. 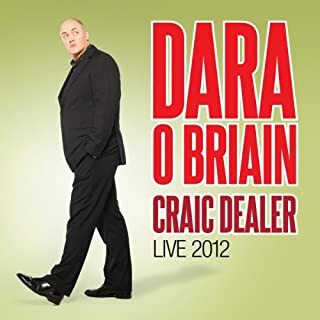 Recorded at the world famous Hammersmith Apollo before 3,300 fans, this is Dara at his best, mixing top drawer material with lightning fast improvisation to give his audience yet another hilarious night to remember. 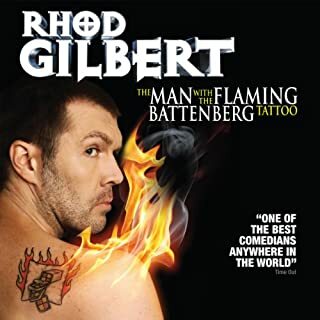 Welsh comedian Rhod Gilbert is one of the biggest names in UK stand-up, performing to sell-out audiences in Britain and abroad. Now he has his own radio series, recorded in front of a live audience and packed with laughs. Joining Rhod on stage are fellow comedians Lloyd Langford and Greg Davies ('We Are Klang'), along with Sarah Millican who takes a look at The Six Stages of Woman. 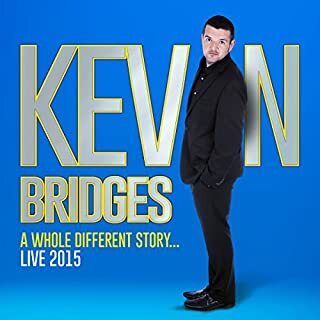 Kevin Bridges is in a league of his own as he blows the roof off the SSE Hydro in front of 12,000 fans with his brand-new show, A Whole Different Story. Recorded as part of his UK and Ireland tour and 16-night residency at Glasgow’s newest venue. Kevin is in explosive form as he mixes economic theory, art history and diet tips with the rigors of growing up and adapting to his new found place in the world. It is a comic masterpiece. 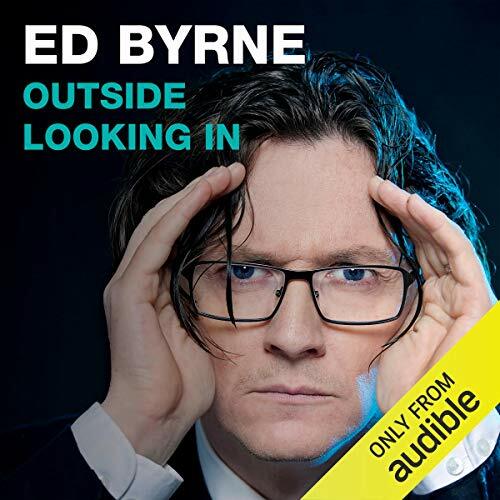 Top Irish comedian Ed Byrne live in concert with another hilariously funny show. Ed sees the world in a marvellously witty way that has you thinking and laughing in equal measure. A comedian at the very top of his game. Disappointed with this one. Can only hope there was some sort of irony going on here that I didn't get, because even the audience weren't joining in and laughing at some points. Real shame wanted it ri be so much better. 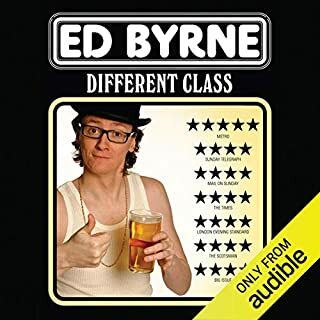 I doubt I'm alone in my dismay for every year that passes without a new Ed Byrne DVD and I'm delighted that at least we get an audio recording. I recall seeing it live and found the audiobook just as enjoyable for you lose less than you'd imagine and certainly long time fans can tell by his voice when he's striding across the stage or waving various limbs emphatically and indignantly. I found it very funny, very Ed and I would very much recommended.